This hardly a recipe, just something I throw together when we haven’t got snacks in the house and we’re craving for something sweet. These nuts are so morish on their own and also go really well over ice ream. The salt is a must as it cuts through all that sugary sweetness and makes the nuts taste like salted caramel, so don’t skip it! Chop cashew nuts up roughly. I even leave some whole. Toast the cashews in a pan, they don’t need to be golden. Just make sure the nuts are warmed through. 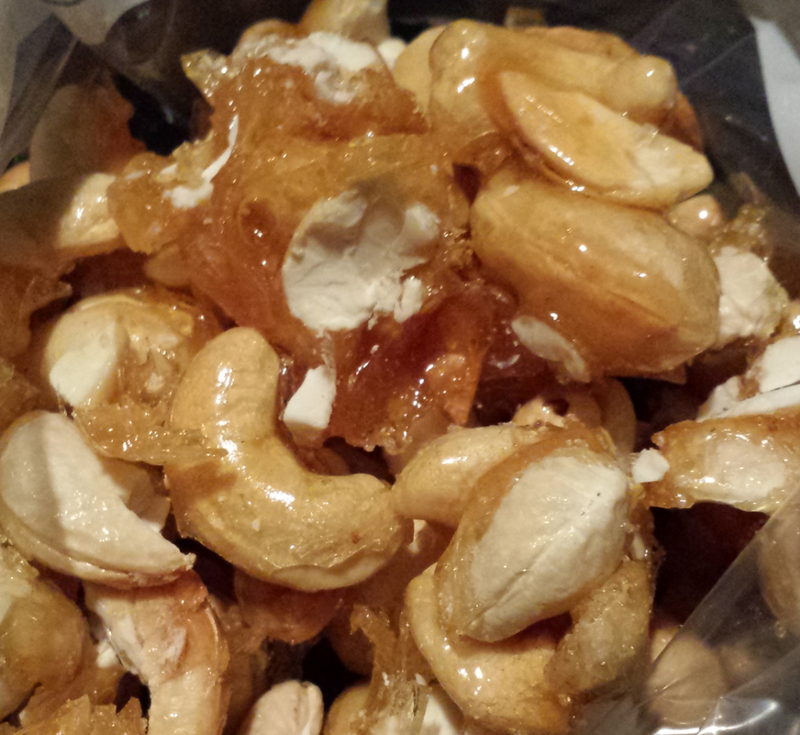 Warm nuts = more sugar sticking to them = better coating. Heat the sugar in a pot over a low flame, it will melt and then turn molten. Add the nuts and salt and stir well. Pour on to a tray and allow to cool slightly. As soon as it’s cool enough to handle, break the nuts up into chunks. Place in the fridge to cool completely. Enjoy!